The Lowest Fares in Town – Book a ride today! Enjoy the Lowest Fares with Grab! It’s now so much more affordable to get around town. Just download the Grab app and travel with safe, comfortable and convenient rides to anywhere. With our new lowest fares, we guarantee that our GrabCar rides are the cheapest among all ride-hailing services from Monday to Thursday, 10am to 5pm, if you are taking a ride in Alor Setar, Ipoh, Miri, Kuching, Kuantan and Sungai Petani. Lowest fares applies from Monday to Thursday, 10am to 5pm only. Lowest fares applies in Alor Setar, Sungai Petani, Ipoh, Kuantan, Kuching, and Miri only. Lowest fares applies for GrabCar Economy only. 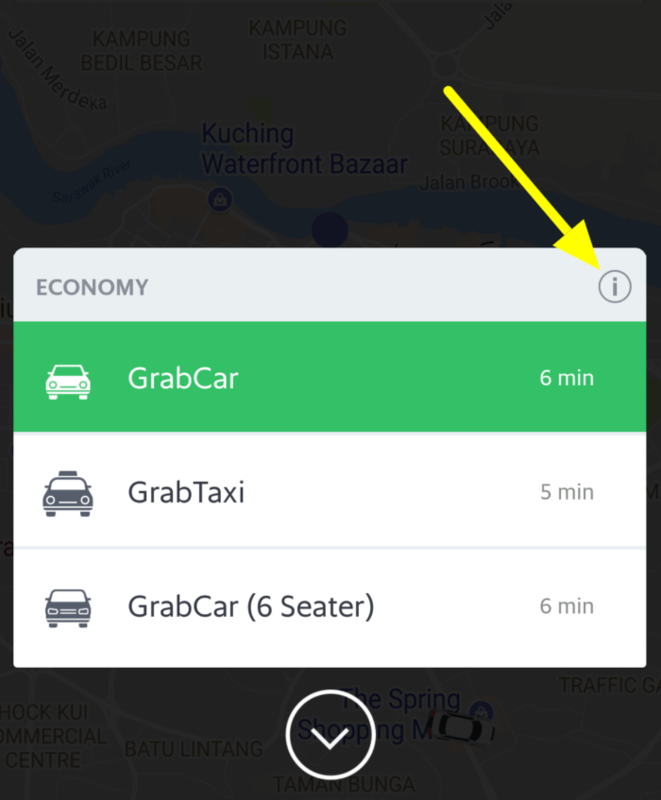 All GrabCar Economy rides have a minimum fare of RM3. What is Grab’s Lowest Fares campaign about? This campaign is an initiative by Grab to ensure that our customers get the most value every time they take a GrabCar (Economy) ride. To do so, we have reduced our base fare to RM0 from 10am-5pm every Monday-Thursday, in selected cities across Malaysia. Why do you say your fares are the lowest? We have reduced our base fare to RM0 from 10am-5pm every Monday-Thursday. But don’t worry, we ensure you that we are working to ensure our prices are competitive during the rest of the time as well. What about your fares outside the campaign times? We do not guarantee that our prices are the lowest outside our campaign hours, but you can rest assured that our prices will be competitive at any time of the day. No, you do not need a promo code to enjoy our lowest fares. Where can I enjoy these new fares? You can enjoy these new fares when you take Grab rides in Kuantan, Alor Setar, Sungai Petani, Ipoh, Kuching, and Miri. Our fares are based on a dynamic pricing system, but you can rest assured that our prices are competitive will be competitive at any time of the day. How are my fares calculated? Please refer to our Price Card in our app to see how your fares are calculated. I compared your ride’s price with that of a competitor, and your competitor was priced cheaper. How is this possible? When does this campaign end? The campaign’s duration is subject to Grab’s discretion. Grab reserves the sole and absolute right to withdraw, amend and/or alter any part of the duration of this campaign at any time without giving any prior notice to the customers.